Barley can be a great addition to your meal. If you are the adventurous type and you enjoy trying new foods then I suggest you try barley. Barley is actually a whole grain and will help you satisfy daily dietary consumption from this food group. Barley tends to take the flavor of whatever seasoning you add to it. It does have a subtle flavor itself, though. When cooking barley it doesn’t mandate any special cooking skills at all. 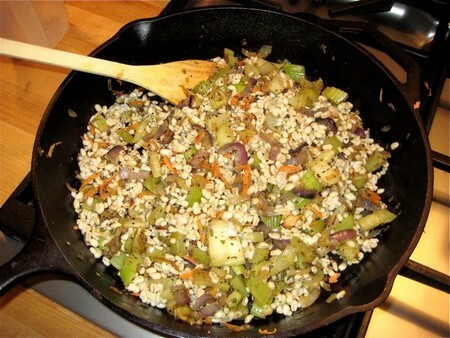 You don’t have to be a trained chef to make a delicious serving of Barley. There are two ways you can start to prepare your barley. If you know the day before you will be having barley, I suggest you use the method of soaking. You simply add water to the barley and place it in the refrigerator overnight. You can cook the barley without this step but it makes it much faster to cook. You do not have to prepare it in advance. Here is how to cook barley. Continue reading to find out how. Wash the barley with water in a strainer. Make sure you get rid of any dirt or debris that may be inside the barley. Some may have gotten into the packaging during the process stage. If you want to cut the cooking time down the next day, if you have planned your meal in advance, then put your barley in water over night to pre soak it. This softens the barley by allowing it to retain the water. For every 1 cup of barley use 2 cups of water for the pre soak stage. Determine how you will flavor the barley.You can use any broth or water to cook it in. When it’s time to cook the barley using the stove top method, add 2 ½ or 3 cups of vegetable, beef or chicken broth (or water) for every 1 cup of barley you plan to serve. Place the liquid to your large pot. Turn the stove on medium heat. Bring the broth or water to a vigorous boil. Now add 1 cup of barley to the right measurement of your liquid. Bring the barley and liquid to a complete boil and stir. Cover the large pot with the top and turn the heat down low. Simmer the barley for 15 minutes if it was prepared overnight with the soak. If you did not soak the barley overnight, then you will need to cook it for 20 to 40 minutes.